Where there is shadow, there is also light. Should you pursue a business idea that promises rich rewards, but also bears some substantial risk? I still worked in the same company as in my workshop from hell – a producer of high-precision metal components. The core products were all sorts of bearings for all sorts of uses. One of the product groups were large-size bearings for use in heavy industries such as mining equipment or wind turbines. 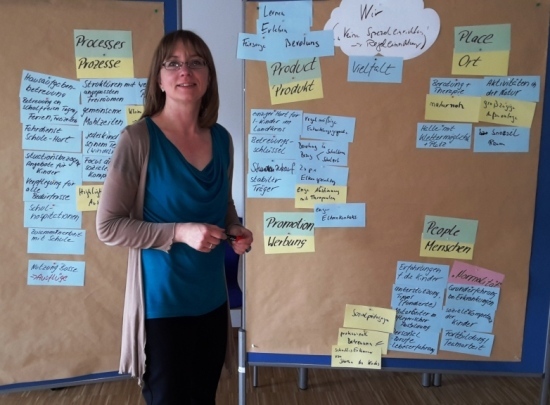 Our product managers – who were always well informed about what’s going on in the market – had reported a new phenomenon at the last companywide strategic planning workshop: Our largest competitor had started to offer after-sales services for his large-size bearings. This was a completely new approach for the whole industry. Of course, the aftermarket for replacement parts was a significant market segment which was taken seriously. However, nobody had ever offered services like performance monitoring, scheduled repair and maintenance etc. Everybody had the gut feeling that this could be the next big thing for this market segment. Immediately, some potential benefits popped into mind, increased customer lock-in and additional revenue streams being only two of them. The engineers in the room were delighted by the chance to have ongoing access to all sorts of usage data as well as to worn out and failed parts. This could provide them valuable insights. This was a completely new market we had no experience in. Our current customers were the manufacturers of mining equipment, wind turbines etc. Customers for aftersales services would be the customers of our customers who actually operate these types of equipment. We did not have the resources, experience, processes and infrastructure to provide regular services to customers spread all over the world. The investment required to build these would be substantial. The lack of experience and knowledge was perceived as the most serious downside. how we could do it. The strategic question was whether or not to set up a new service offering. I would work on an opportunity everybody considered potentially promising and interesting. Hence, everybody was eager to contribute and to cooperate. The task came directly for the joint management board. It was given to the central strategy team when all relevant product managers and market managers were present and had agreed to conduct this workshop. Hence, I had the support from top and middle management. The business idea had a strong sponsor within the management of the large-size bearings product line. Hence, they would provide as with all the resources I needed. In a first step, I described the questions to be answered as detailed as possible: Which benefits did we expect from this business opportunity? Which risks did we see already? What exactly should be the result of the workshop? I discussed these questions with the product management for large-size bearings. Together we determined which expertise we would need to answer all our questions comprehensively. On this basis we developed our ideal list of participants. They comprised functional experts from all affected product lines and geographical regions as well as from corporate center functions like innovation management and R&D. Creating a common understanding: How exactly do we define the business opportunity of offering aftersales services to large-size bearings customers? Analysis of the current market situation: Are there any such initiatives already? What exactly are our competitors doing? Should we do it: What benefits do we see from this business idea? What would be the consequences if we decided not to pursue this opportunity? Can we do it: What would we need in order to successfully establish this service offering? Do we have any existing capabilities, experiences and resources to build on? Are we able to fill the gaps? What would it cost us in terms of time an money? From this agenda, I derived a set of questions the participants should answer in advance. I asked them to send me their responses not later than one week before the workshop date. This gave me the opportunity to compile and analyze all the relevant information and opinions already existing throughout the organization. On this basis, I prepared a summary of the organizations current understanding of the problems. I also identified the issues everybody agreed on and the issues for which there were divergent opinions. This summary formed my opening statement for the workshop. It served for creating a common understanding and identifying questions to be discussed. Thus, I immediately initiated a productive discussion. The workshop went smoothly and developed a fruitful discussion. There was no quarrel, silo thinking or hidden agendas. It was a joint effort to develop a potentially profitable business opportunity while taking into account all thinkable risks. Everybody went home with a very positive experience. Compared with the last workshop from hell, I had a much better starting position here. I had top management support and every participant sensed there was much to gain and little to lose personally. Thus, everybody was motivated. 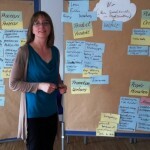 I had a clear idea about the objective of the workshop. I had a clear idea on how to achieve this objective. I asked for the opinions of all participants in advance. Although I happily accepted all sorts of input, advice and support I could get, I always was in control. It was always clear that I was responsible for the process and that I was the one who led this workshop. I made sure that everybody agreed on the next steps and that there was clear responsibilities for them. In this workshop, I took on the function of the mobilizer: I facilitated strategic decision making by bringing together the right people directing them through a target-orientated process. I compiled and analyzed all existing information and helped to raise the right questions. I made sure that everybody was motivated and eager to participate. The success of a workshop or meeting depends to a large degree on your approach and your preparation. The more careful you frame the objective (and your own role in achieving it), the more time you invest in preparation and prior discussion with key players, the better your chances of success. Sometimes you have to waste time in order to save time.